to brightly coloured leaves and cool breezes. 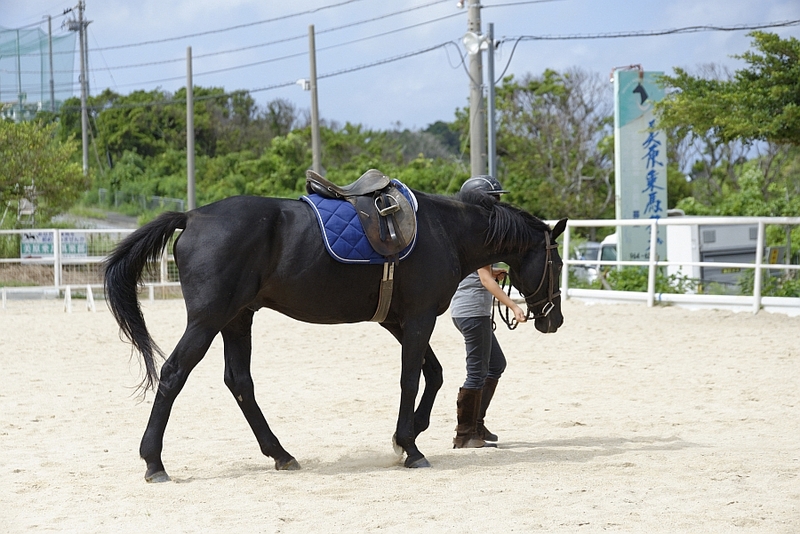 Why not bask in the joy of the Fall season and try your hand at horse back riding? 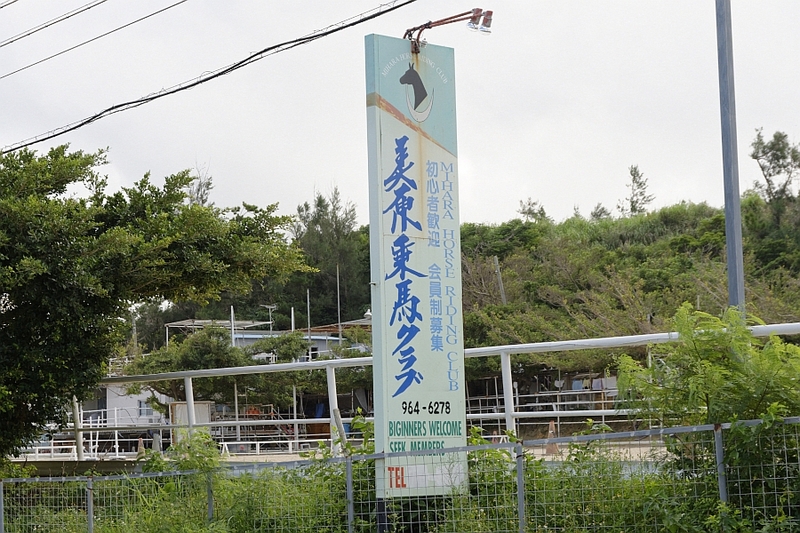 Located in the highlands of Uruma City Mihara lies “Mihara Riding Club”. with a view of the sea that stretched beyond as I rode horseback. 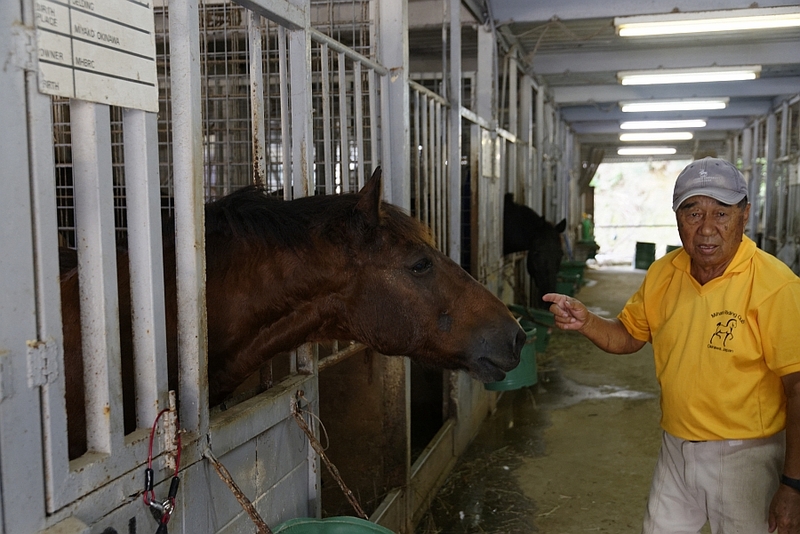 to Miyako horses, ponies and more. 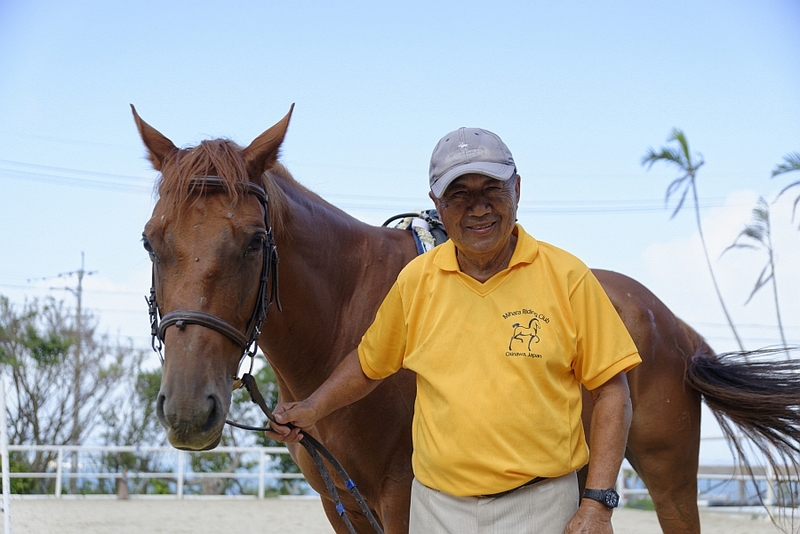 Amongst the thoroughbreads are horses that have competed in Grade I races such as the Arima Memorial Race and the Emperors Award Race. 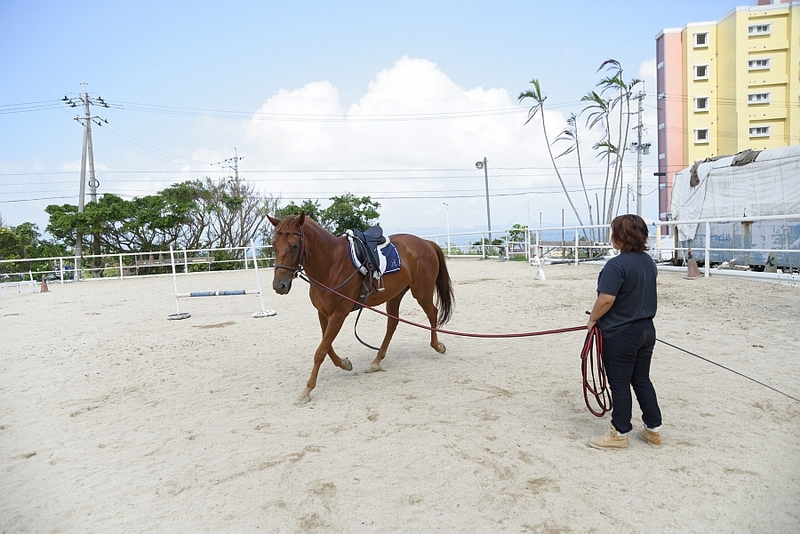 There are even horses who’ve been ridden by internationally acclaimed Japanese jockys. 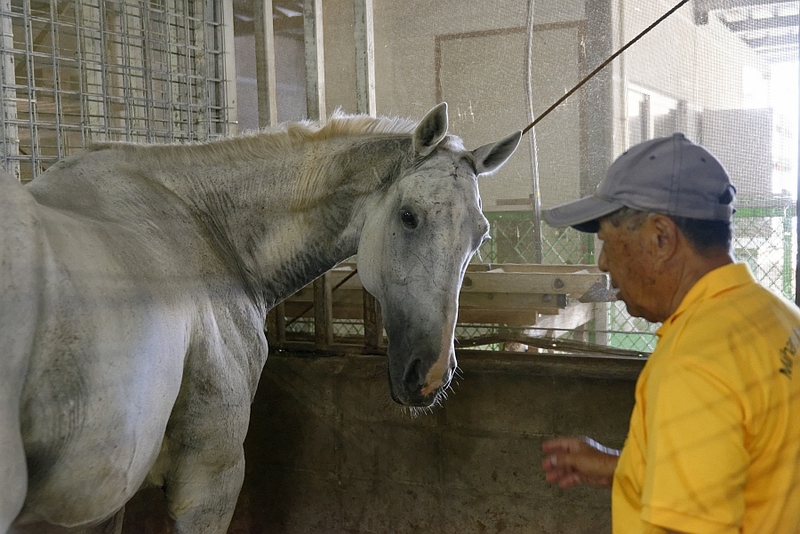 The horse I rode on was a thoroughbread named Big Nakayama. He’s raced in several GI races, and has taken first place at both the Nakayama and Tokyo race course! but he has maintained his dignified gate, and is still the active horse he has always been. 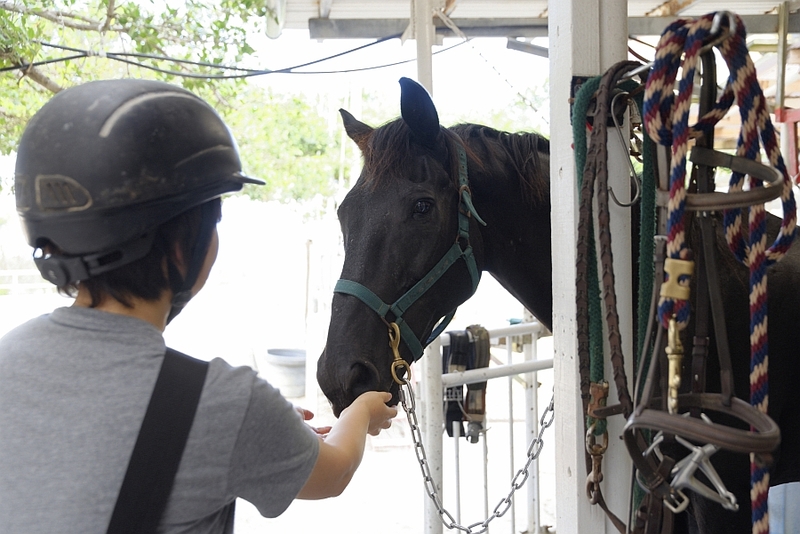 Riding is about communication- it’s important for the horse and rider to get to know eachother. I make sure to feed him snacks and speak to him gently before I saddle up. 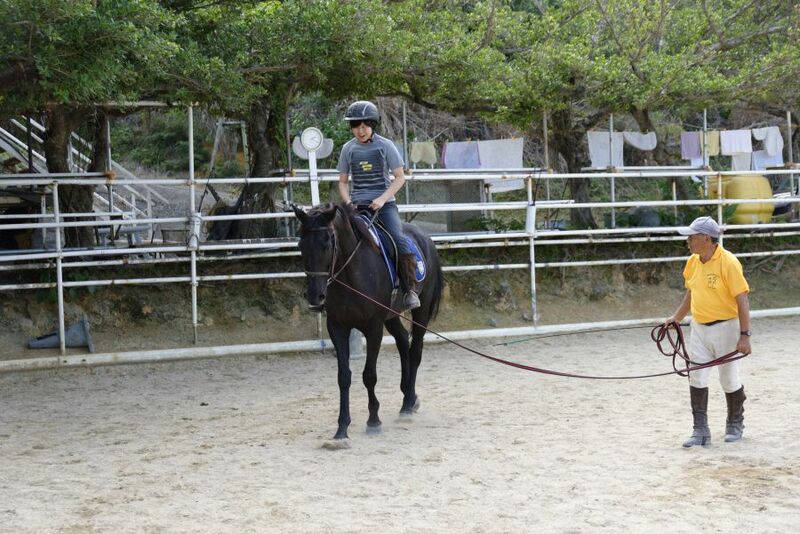 After this, I grab the horse’s reins and lead him to the arena. so if you look at their face while walking or wander aimlessly the horse will get confused. Remember to look face forward and walk straight! it’s finally time to ride my horse! and suddenly there’s over 2 metres between my eyes and the ground! I start slowly, syncing with eachother as we walk and gently elevate the pace. riders with a sense of rythm and a strong core improve the quickest. but do you know the difference between these two breeds? while anything taller is a horse. There’s even more trivia to learn! the horse equivalent of a human’s health insurance card. 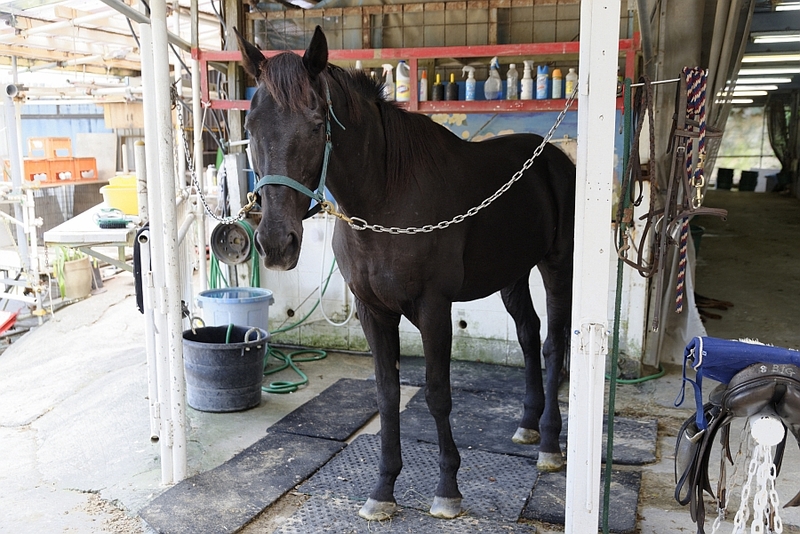 vaccination and medical history, which are used as a basis for maintaining a horse’s health. 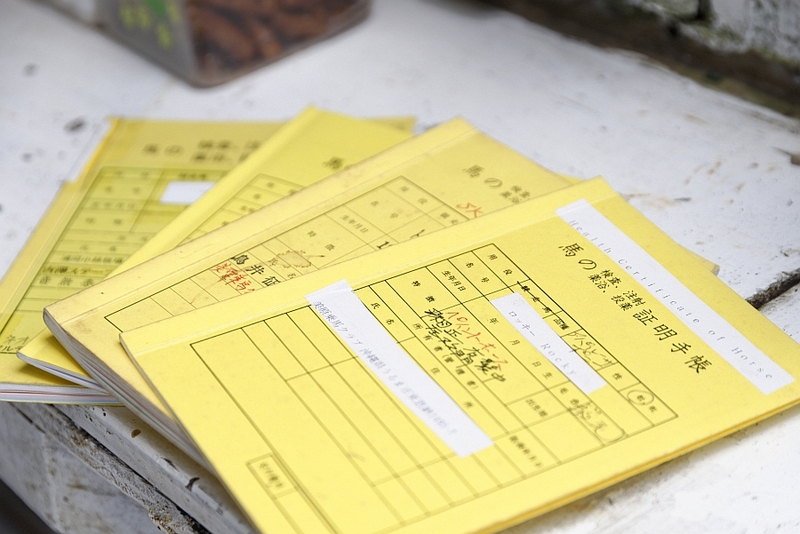 Japanese encephalitis, and tetnas vaccines. and so are raised under very careful conditions. but the chance to learn all about these complex creatures. you can ride safely and comfortably. 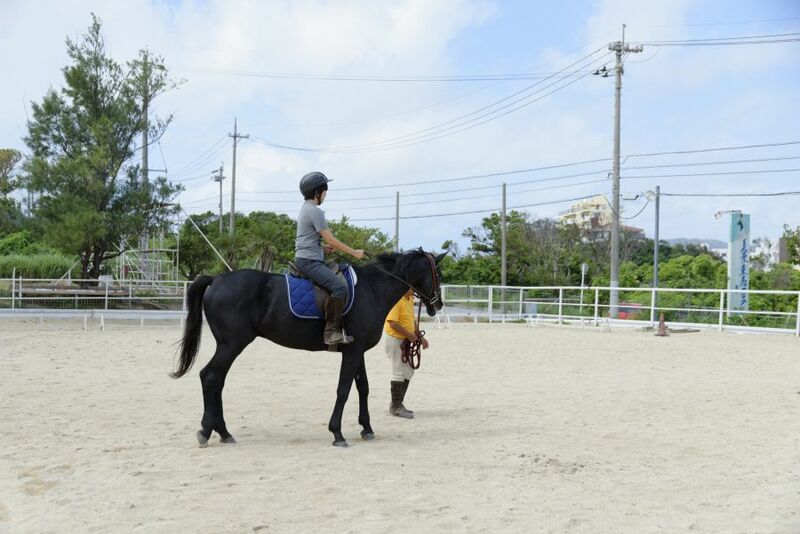 “Riding horseback with a view of the sea is just out of this world,” says Mr. Yamashita. So come on over for a taste of ocean breezes and fall riding.